The Inbox screen opens, showing your incoming mail. Click the title of the message you want to forward. The message you selected appears in the Reading pane. You can forward the message as soon as you read it. If you’ve already opened the message, you can skip the first two steps. The Forward screen appears. The subject of the original message is now the subject of the new message, except the letters FW: (for Forward) are inserted at the beginning. Click the To text box and type the e-mail address of the person to whom you’re forwarding the message. If the person to whom you’re forwarding the message is already entered in your Address Book, just start typing the person’s name — Outlook figures out the e-mail address for you. 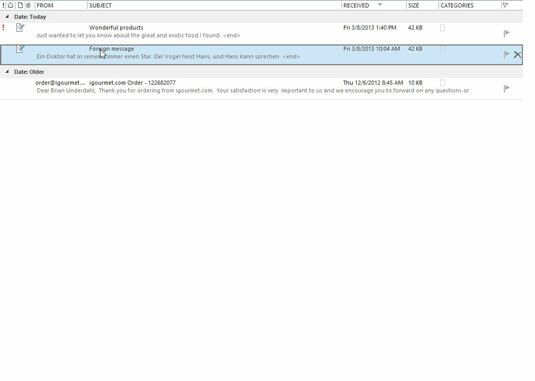 Click the Cc text box and type the e-mail addresses of the people to whom you also want to forward a copy of your message. Many people forward trivia (such as jokes of the day) to scads of their friends by e-mail. Most recipients are included as Cc addresses. In the text box, type any comments you want to add to the message. The text of the original message appears in the text box. You can preface the message that you’re forwarding if you want to give that person a bit of explanation.